Home » alitalia » barcelona » brazil » business class » fare rules » Fare sale » fare sales » gig » mxp » skyteam » Rio to Europe for €1,009 and earn almost 5000 MQDs and 24,610 MQMs!! Rio to Europe for €1,009 and earn almost 5000 MQDs and 24,610 MQMs!! Seems like SkyTeam have joined the party with cheap Business Class fares from Brazil to Europe. Alitalia credits at 300% RDM for a Delta flyer and gives 40% of flown distance as MQDs. This gives you about 4950 MQDs and 24,610 MQMs!! This is a great value for SkyMiles collectors. These flights are also available on Air France / KLM but they book into O class and barely earn any miles, so if possible stick with Alitalia if seeking miles. 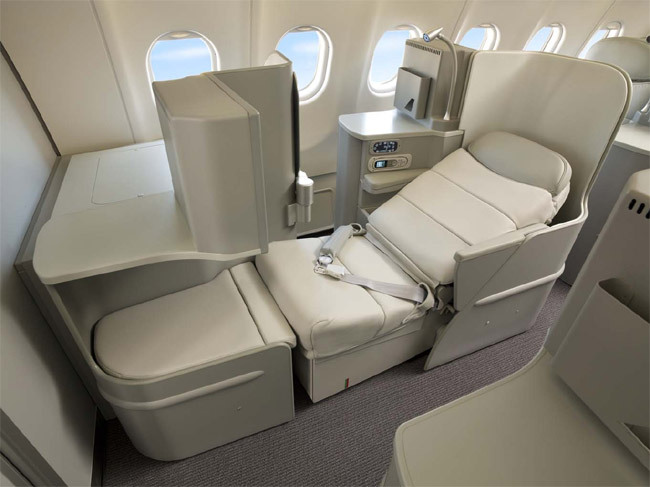 Alitalia operates Boeing 777 and Airbus 330s on the Rome-Rio route, these feature a 1-2-1 cabin with direct access from every seat.